February 16th 2017 (Thursday) 7:50 a.m to 12:00 (4 hours and 10minutes) [KST] Over. Emergency Maintenace: February 16th 2017 (Thursday) 13:30 p.m to 20:00 p.m (6 hours and 30minutes) [KST] Over. Quote: +Teamwork buff changed from skill ressource reduction to skill cooldown reduction. Quote: +Psychic explosion: The effect of reducing the cooldown by 4 seconds when using the skill from skill chain Lv 0 has been removed. +Finisher Move Bus Bombing: Fixed to apply damage increase effect during phase power open. +Finisher Move Rail Cannon: Magical critical dmg increase removed. +Railgun: Magical penetration increase has been modified. +Wormhole: *4Second cooldown reduction removed. *Vertical hitbox increased. +Electric storm: No longer triggers master cube effect if direction key is held, no longer triggers bit consumption. Quote: +Finisher Move Yuri Star: Vertical hitbox increased. Quote: +Hell trap: *Expert cube effect changed to "Hell Snake" buff acquisition. *80% damage reduction during skill cast. +EX Dimensional Singularity: Increased MP recovery. +Finisher Move Dragon of Salvation: Final explosion range increased. 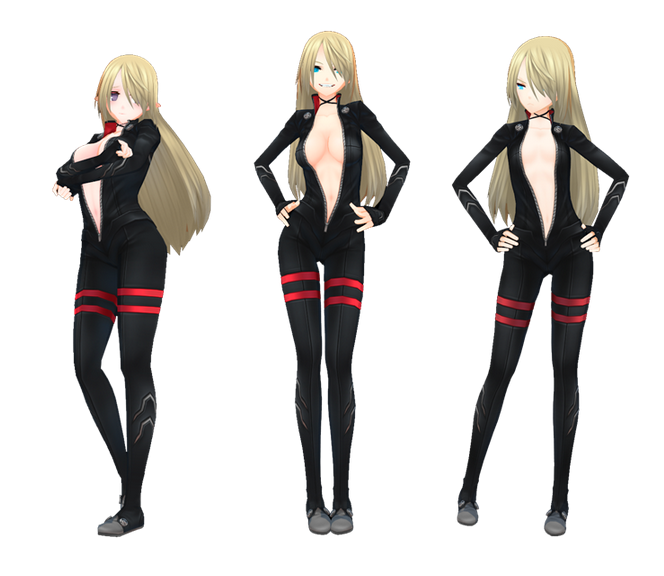 -Raid Program Irina : now drops Irina's new combination costume parts. Quote: +Changes to both boss' patterns in addition to lowering the critical damage debuff's effectiveness from 75% to 50% (when they reach 10HP bar or lower). Quote: +Passive: 5% movement speed, 10% physical/magical penetration. *1200% damage in a small area in front, triggers critical damage reduction debuff, lowering its value on the target. * Buff lasts for 50seconds, Passive Skill is available again after 10seconds (cooldown). *Arrow rain: Deals 13 000% damage, damage type depends on your character (Physical/Magical/Hybrid). +Punisher Irina Pet Package will be on sale until 3/16, afterwards the pet should be sold individually at a lower price at the UNION store. +21,900 NX package contains: *1 Star Hair. *2 Star Combination. *30 Day timed 3 Star Punisher Irina Wings. *Punisher Irina Pet Box. +11,200 NX package contains: *1 Star Hair. *2 Star Combination. *15 Day timed 3 Star Punisher Irina Wings. +Cybernetic accessories min/max price adjusted. +Boss drop lenses min/max price adjusted. -Removed lunar new year event materials and craft options from the craft machine. -Happy weekend login event to start on saturday/sunday, as always. -Winter vacation weekly buff rotation changed. + 20% EXP Gain and 30% Item Drop Rate for this week. -Removed Winter Theme from area bases. The English patch is now functional once again until the next maintenance. you can edit your answer all you want until the deadline, but remember if you edit it will also update the time you edit your answer. And 1st one to get the answers right get to win. 1. Violet's Official Crew will be released. -Violet will be able to enter special PG areas and Airport area. -Violet's level cap will be expanded to 62. -Permanent OC costumes will be craftable until 01/25. -Event Accessories for Violet with special Event Mat that will drop from DG + Staying logged in with OC Violet for 30 minutes(Once) will be craftable until 01/12. Event mats will drop until 01/05. -Once your Violet has reached OC, you can participate in a 3000 NX raffle by going here: http://closers.nexon.com/events/2016/12/29/Update.aspx , and clicking the red button at the end of the page. -There will be Entrance Machine in Area 1, 2, 3, and Epilogue Area. -겨울 선물 회수 작전's monsters can only be damaged through basic attack. -Increased item drop rate if you do the dungeon with a full party. -Quests are accessible from Epilogue Area. The third section shows some of the rewards for, respectively, dungeon drops, crafting (tab above Event I, accessible fully only in Epilogue Area), and dungeon clear. The fourth section shows quest rewards. Quests are accessible from Epilogue Area. A one-time quest will reward you with OA/OC top and EX dungeon equipments (apparently?). This week, we will have event dungeon experience +150%, and event mats +1. This is added on top of the +1 entry and free enhancements week. -Top boxes are OA/OC pieces. In order, first box is weap, then top, bottom, shoes and gloves. -Boxes content from top to bottom: Statue box, Tiamat scroll materials (not a box), 2 random event boxes with some items (potions and Tiamat area materials), skill cube box, PNA box, random enhancement item box, random chip box, screw driver box. 3. Black Lamb's 2nd Rare Costume will be released. -It is indeed the 2nd Rare Costume, and it will be released for Black Lambs first, then Wolfdogs later. -SoD accessories will be removed from Washing Machines next patch. -They haven't explicitly stated that SoD costumes will be removed from Costume Merge. All that they said was 2nd RC will be obtainable from Costume Merge, and that new costumes will be added on the result of Costume Merge failing. So it could be possible SoD costumes could be a result of that failure. -SoD is now no longer obtainable for Black Lambs. Event 1: From 12/29 to 01/05. there will be a special buff that will make all enhancing costs free and 1 additional entrance limit to Special Dungeons. Event 5: Make sure to go into this Event page and claim your temporary Lv.75 Module and EX Dungeon Module/Shield on 12/31 and 01/01- use the Frozen Material to craft the permanent version in the Event tab. Event 6: As customary, chance to obtain Rare Accessories will double for the release of new Rare Costume, and the 2nd Rare Costume for Black Lambs will have 100% Merge chance with 90% 3* upgrade rate. 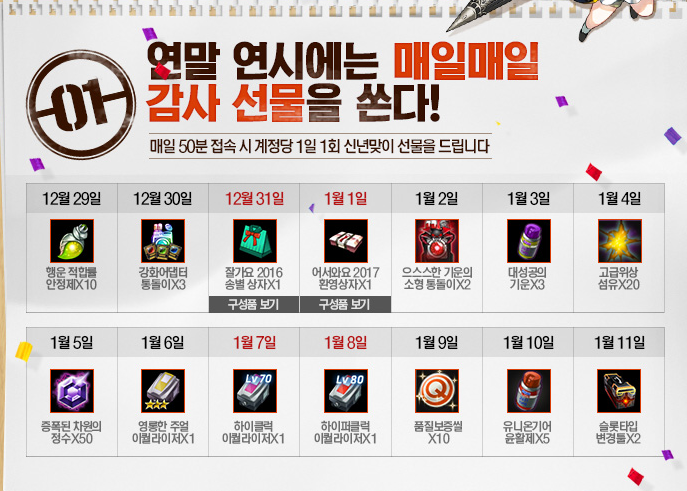 All of the boxes that require gasoline-looking mats are for making permanent versions either of the equipment redeemed on 12/24 and 12/25, or the ones redeemed on 12/31 and 1/1. Event I items will be craftable until 01/25. Event III tab: items that require red orb mats will only be craftable until next week. Those that require the gasoline-looking mats will be craftable until 01/25, however. 1. Lee Seha's 3rd Job (SA) will be released. 2. Misteltein's few skill percentages, cooldown, and cube effects will be adjusted. 3. Harpy's Draw and Four Card HP/MP recovery will be nerfed. 4. Seo Yuri's Pistol Attack Range and Speed will be increased. 6. New events will be added. 7. New costumes will be added. 8. New pet will be added. 9. New item will be sold in UNION Store. 11. Circle Leader can now switch Circle name. 12. Special Discounted Package II will now have Union Gear Lubricant(Quality Reset) x 11. - Necessary amount will be compensated to players who bought the package before 10/20. 13. Swirling Maple Leaves will now no longer be craftable. 14. The client will undergo few changes. - It may take 5~10 minutes to start off Closers initially after 10/20 maintenance. 15. Compensations for 10/06 Emergency Maint. 1. Character Level Cap increased. 2. A new darkness appears. 3. Illustration Skin selection system added. - New voices added to some character's skills. - New dark voices added to all characters for Splendor of Darkness. 5. New circle system added. 7. Item Link function is added to the chat window. 9. New Union Store items added. 11. Mini-Levia Pet Limited Edition Package sale ends. 12. NyarukoXClosers collaboration costume sale ends. 13. Wolfdogs 'Munitions Factory Airspace' Update event ends. 14. 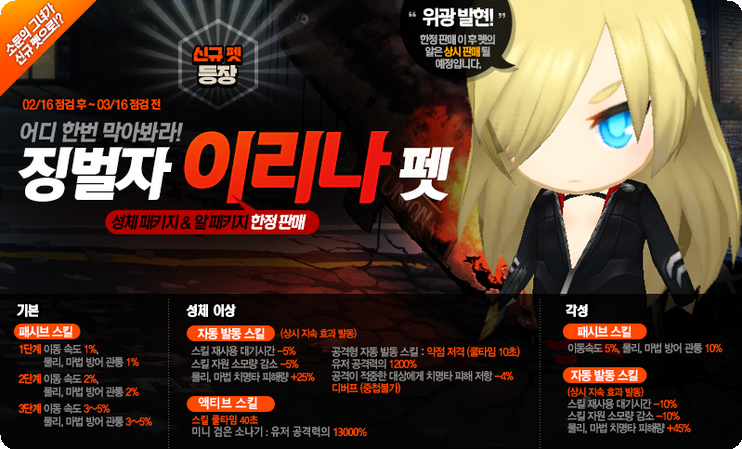 Seulbi Special Agent costume crafting event ends. 15. 'Virtual Reality Beach' event dungeon materials will be removed. 16. Tongdori (Gacha) x11 Sale ends. 17. Compensation for emergency maintenance. There are currently 56 online users.